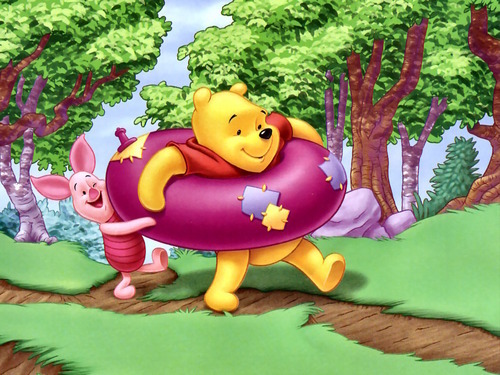 Winnie the Pooh and Piglet দেওয়ালপত্র. Winnie the Pooh and Piglet দেওয়ালপত্র. HD Wallpaper and background images in the উইনিই-দ্যা-পুঃ club tagged: winnie the pooh oiglet disney character wallpaper. This উইনিই-দ্যা-পুঃ wallpaper might contain ফুলের তোড়া, কাঁচুলি, পুষ্পগুচ্ছ, and তোড়া.